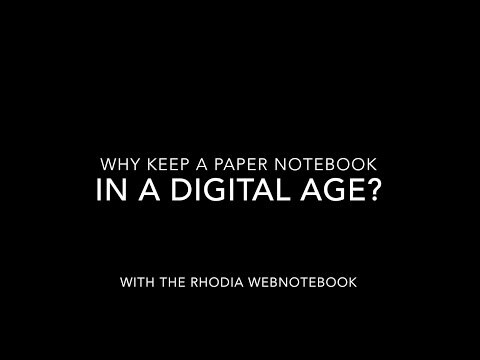 Videos of new Rhodia products: Goalbook and Heritage notebooks! John Sparegrave has excellent videos on two new Rhodia products: the Goalbook and the Heritage notebooks! The Rhodia Goalbook is the new notebook specifically designed for bullet journaling, record-keeping, and planning ahead in your notebook. It has numbered dot grid pages, index pages, and monthly planning pages that you can use in any year. You can see the detailed review video of the Goalbook here. The Heritage notebooks collection features composition book size notebooks with stitched spines and vintage style covers in striking patterns. You cans see the video featuring several of the Heritage notebooks here. You can see more details of the Goalbook with lots of photos of all the features in this post here. The Goalbook is now available in the USA, UK and Europe. They are available from these online retailers in the USA. You can see more information about the Heritage collection notebooks here. They are available to buy in the USA from these online retailers.